Are you looking for a new boiler for your home? Looking around for new models can seem quite overwhelming. 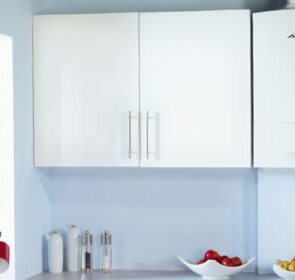 That’s why we have written up this article to guide you on your new boiler purchase, with information on types, costs, and buying tips! 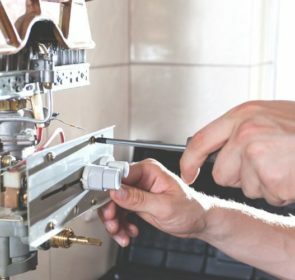 New boiler: How much does it cost? Each of these factors are in turn affected by your particular situation. For example, switching to a new type of system, such as conventional to combi, means you’ll need to remove the water storage and expansion tanks. 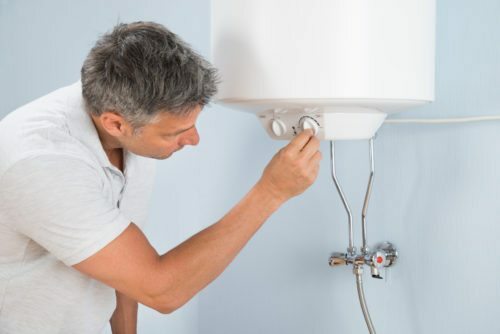 If you are simply replacing one boiler for another, it will be much easier and cheaper. As such, the final price depends on what you are aiming to do. To give you a general idea on the prices of new boilers, we have compiled this table of average costs. For a more comprehensive look at prices, take a look at our new boiler cost and boiler prices pages. With so many different brands and models, how do you choose? Luckily, there are many heating companies to help you along the way. If you contact them to request a heating quote, not only will you find the best price for your budget, you can ask any questions you might have. Take 1 minute now and soon you’ll obtain many price offers and potentially save 40% on your new boiler! There are 3 types to choose for your new boiler. Each differs based on the way they work and the components included; as such, each have their own advantages and disadvantages. This traditional boiler type, occasionally called regular or heat-only, is slowly declining in popularity. 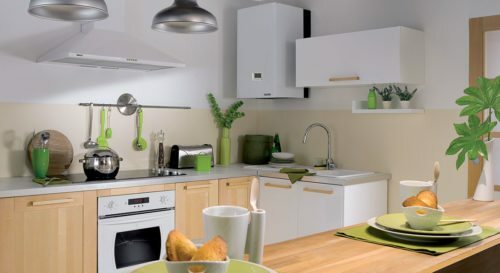 Compared to the now more popular combi boiler, conventional boilers take up more space. A cold water storage tank, supplied by the mains connection, feeds water to the boiler. The boiler heats the water and moves it to the hot water cylinder. This hot water is stored either for outlets in kitchens and bathroom or for space heating in radiators. Conventional boilers require storage tanks usually placed in the loft space, an expansion tank to take care of the expansion of hot water, and pipework. System boilers have certain components, such as the expansion vessel, built into the unit. It also can be connected directly to your mains water supply. As such, it requires less space than a conventional boiler. The system boiler does need a hot water storage cylinder, since it works in a similar way to the conventional type. This hot water supplies the central heating system as well as your water outlets. 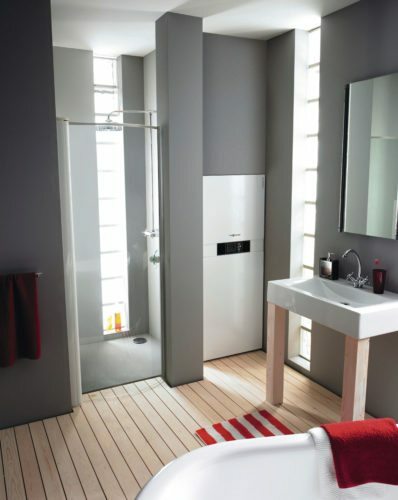 This boiler type is great for homes with higher hot water demands. It also does not use up as much space as conventional boilers since some parts are inside the boiler itself. Combination boilers, commonly known as combi boilers, have gained significant popularity in recent years. They do not use storage tanks and provide hot water and heating on demand. The cold water is supplied directly from your mains connection. The combi boiler unit warms the water when you either set up heating in your house or turn on a hot water tap. Combi boilers tend to struggle to provide a strong flow of water if multiple taps are turned on. 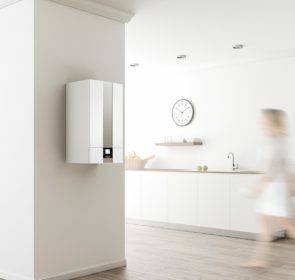 The relatively small size, convenience, and high efficiency ratings of combi boilers are reasons why this type is the most popular choice for heating in the UK. Making the decision to buy a new boiler is an expensive one. It is also difficult to choose from the many makes and models available. Here are a few tips to make it easier. 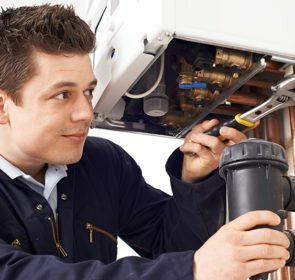 Before you start your search, it’s crucial to identify why you are in the market for a new boiler. Maybe your heating expenses are too high for your liking and looking for a way to save. Perhaps your boiler encountered a problem and repair costs will be higher than replacement. Or your boiler is reaching the end of its life—models that are 10 to 15 years old need to be replaced. As with any big purchase, you need to set a clear budget. Not only will this narrow down your options for your new boiler, it will also help you avoid overpaying. It’s important to know the factors that affect the price of your boiler. The brand, model, size, as well as type all influence the cost. With a budget set, you can match the prices you find with your monetary restraints. When looking for new boilers, you also need to gather as much information as possible. Know which types are available and which are suitable for your home. Take a close look at the each model, their efficiency rating, and warranty. Equipping yourself with information is the best way to make an informed purchase decision. You’ll be able to identify the best heating system type and boiler model for your needs. Since new boilers are very expensive, it always helps to find discounts. Check to see if you are eligible for any discounts, grants, or loans to assist with financing your new boiler costs. There are boiler replacement schemes to incentivise homeowners to switch to more modern, efficient models. Don’t be afraid to ask heating system installers for discounts or payment schemes, with careful examination of the fine print, of course! If a heating company says they are able to help you, don’t just take their word for it. Have them prove it to you! Check their credentials, making sure they are properly certified or Gas Safe registered. Although an engineer who is not qualified to complete your project might offer extremely low prices, the consequences could be dire. A poorly-installed boiler is a safety hazard, will cost much more to repair in the long run, and could even be subject to a fine. Avoid these by doing your homework beforehand! Another tip that you should follow is to get at least 3 quotes from central heating companies. Use our request form to reach out to trusted professionals operating in your area. Obtaining these quotes in writing allows you to find the best price offer and to identify unusual outliers. It takes only 1 minute, is non-binding, and will potentially save you 40% on your new boiler.